When we are visiting schools around the country to deliver internet safety workshops and parent and teacher talks one of the topics that we hear about most regularly relates to the content that children are sharing online. Their level of awareness of what they are sharing, how that content can potentially be altered and how children can be protected are concerns for both parents and teachers. We all, children and adults, need to be aware of the content we share when we are online. Children in particular need be conscious of what they are sharing and with who. Here are some tips to help make sure that your child makes smart choices about what they share when they are online. Privacy is Key: Talk to your child about the importance of privacy and that not everything they do needs to be shared with their friends or the wider world via social media. Encourage them to consider ‘is this something I absolutely need to tell everyone about?’ before they share something. This is of particular importance when it comes to the sharing of images. While the vast majority of images that children share will be shared innocently, it is sensible to encourage your child to exercise caution when it comes to sharing images even if that is with their friends. 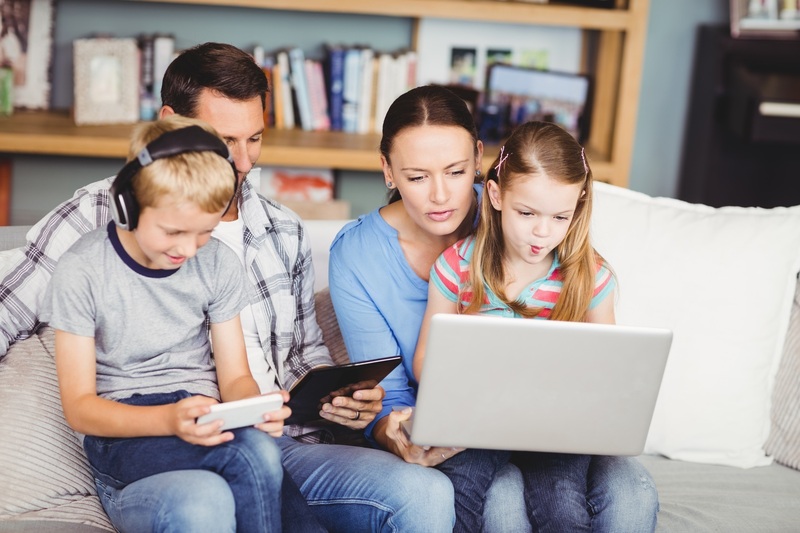 Use Safety Settings: Activating safety settings on the digital devices your child uses is a great first step in helping them to stay safe if they share content online. Safety settings however are not a 100% guarantee of security. Safety settings should be regularly reviewed and updated on each device to ensure that they are working to the optimal level. The majority of android and of course Apple devices have easy to activate parental controls and/or safety settings. Create a ‘Rule’ about Content: At Zeeko we have created what we term ‘The T-Shirt Rule’ to explain the long-term implications of posting something online. We encourage the kids we work with to ask themselves this question before they post something online: ‘Would I walk around for the rest of the day with what I am posting online printed on the front of a t-shirt?’ It is amazing to see the reaction that analogy can bring. Create your own Rule in relation to content with your family. It’s a good idea to make this a fun rule and one that will be easily remembered. Set the Example: Be the example that your children will follow. It’s going to be difficult to have a conversation with your children about being cautious of what they share online if you are constantly sharing content yourself! We all need to be more conscious of what we share online and with who. A new phrase that is common in the US is the term ‘sharenting’, it relates to parents sharing content in relation to their children. It’s probably a good idea to make your home one where the emphasis is on parenting as opposed to sharenting. The temptation to share the most personal of details online is constant. Helping your child to take a step back before they share content is giving them a skill that will be of use to them now and in the future.